Every year there’s a movie that tries very hard to pull in audiences and critics with grand emotion and “important” subjects. These films rarely work out, and it’s easy to spot them a mile away. 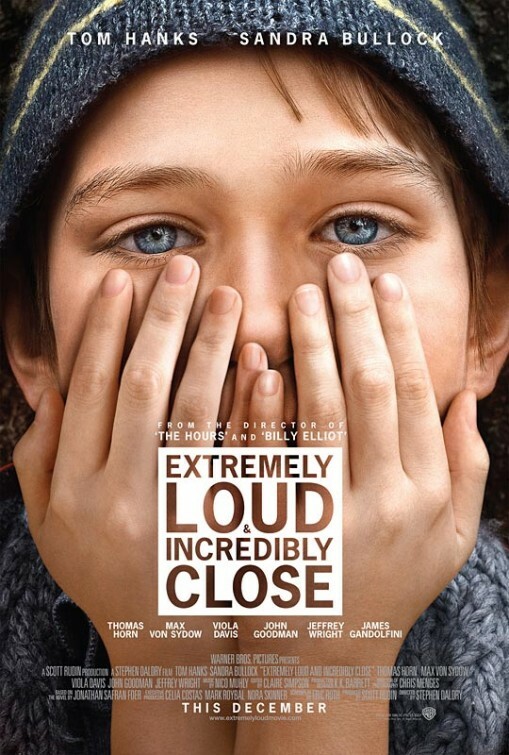 Warner Brothers’ Extremely Loud And Incredibly Close looks to be 2011’s self-important movie with it’s 9/11 background, Oscar winning leads and Oscar nominated director. Based on the treacly book by Jonathan Safran Foer, Extremely Loud details the journey a young boy named Oskar goes on to come to terms with his father’s death during the September 11th attacks. Tom Hanks and Sandra Bullock star as Oskar’s parents while John Goodman, Viola Davis and Max Von Sydow fill out the supporting cast. Stephen Daldry, who has the distinction of being nominated for an Oscar for every film he’s directed, is at the helm. This trailer certainly tries to tug at the heart strings, but from my perspective its trying way too hard. Perhaps the film won’t be as maudlin and forced as this trailer would indicate, but if its anything like the book I wouldn’t count on it. Comments for The “Extremely Loud And Incredibly Close” Trailer Wants To Make You Cry are now closed.